Between the rain, the fog and the impending snow showers we had a glorious day of brilliant sunshine! 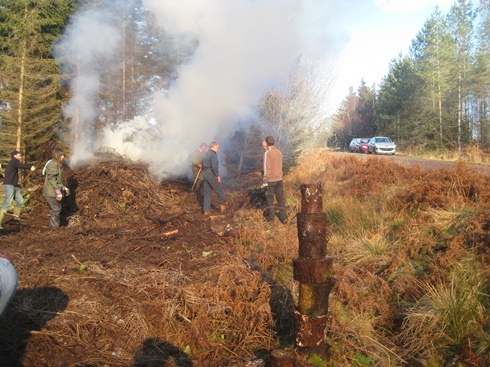 Our task was to remove and burn all the fallen debris which had accumulated along the scallops towards Crabtree Hill. 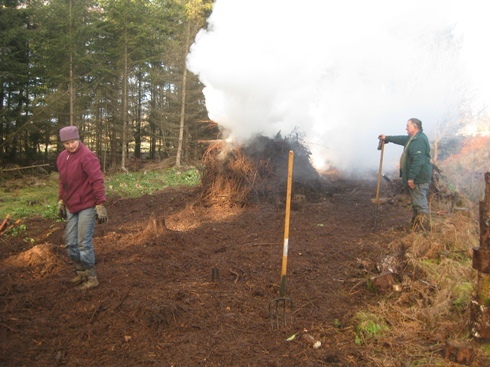 We needed to clear them before the bracken could take over but it was a hard task as the branches were knee deep, sodden and smelly. It was fortunate that we had so many members of the team out with us this day. The scallops which we had cleared last year showed promising signs of re-growth, especially with thousands of foxgloves. 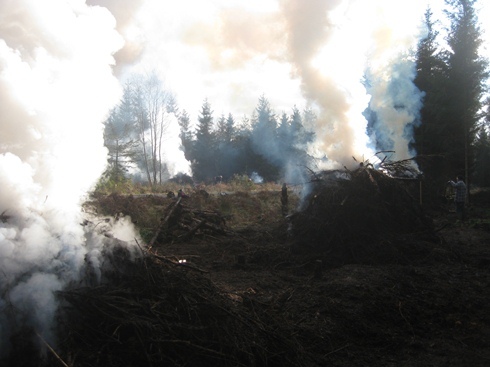 One of the fires is smouldering nicely and, as there was no wind, the smoke hovered in the tree tops. The base of the ground beneath the debris was finally reached. We had five enormous fires going by the end of the day but they were so wet that we doubt whether they would have burnt through. At least, the ground has now been cleared.